Josh Ziegler is CEO of ZUMATA, currently the only hotel distribution company partnered with IBM Watson and the only Asia-based third party company to release their Natural Language API within the Bluemix Marketplace. ZUMATA caters primarily to large clients and partners like Expedia, Amadeus, and DHISCO, which leverage the technology ZUMATA provides. Josh brings over 17 years of diverse experience in the travel industry ranging from deep technical projects with ZUMATA through to working for major hotel properties like Caesars Palace and MGM Grand. 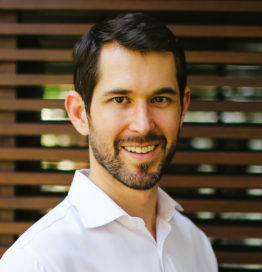 A serial entrepreneur, prior to founding ZUMATA, Josh put himself through graduate school by starting an ecommerce business and founded two travel related companies: Good Times – a discount and reward program catering to inbound travelers, as well as Handshake – a destination guide for convention attendees. A son of a career military officer, Josh has lived in 32 different locations and traveled to more than 50 countries. Having read the illustrated version of “Around the World in 80 Days” at the age of 7, it remains his favorite book today. Passionate about travel and exploration, he is always seeking out adventure and what’s around the next corner. He believes technology is an enabler to help others experience the joys of travel. Josh holds a Master of International Management from Thunderbird, a MBA from Arizona State University, and undergraduate Bachelor of Science in Hotel Administration from the University of Nevada, Las Vegas. Josh currently calls Singapore his home, enjoys spending time with his wife and two young daughters, and overcomes missing the NFL by playing flag football.